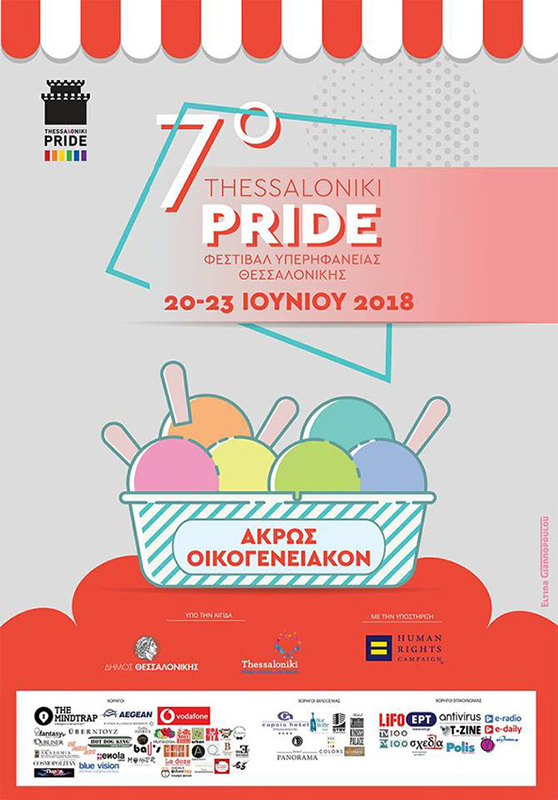 Homophonia Thessaloniki Pride is getting ready for the 7th Thessaloniki Pride festival on June 2018. It will be a day of fun and celebration in the name of equality. Non-profits and community organizations, activist groups and gay local businesses will take part in the pride festival, around the White Tower. The main event, of course, is the March. Last year, over 7.000 people joined the march, on the main streets of the city. Every year, a combination of LGBT people, immigrant associations, ecological organizations and civilians claim their right to equality, freedom and quality of life. This year will be even bigger and louder so that our demands will be heard! People should be proud of their sexual orientation and gender identity. Diversity is a gift, a gift we should celebrate. Sexual orientation and gender identity are inherent and cannot be intentionally altered, so we should celebrate ourselves as we are – Whether we are Lesbian, Gay, Straight, Bisexual, Transgender, Queer, or somewhere in between, we were Born This Way.